We’re in the news! | Hey Kids! Today the Venice Gondolier published “A Reading Trifecta at the Library” about our students donating the book Teddy Tours Venice to the library and reading all their published books to the Suncoast Humane Society dogs. The article ran on page 1B, the front page of the Our Town section. Thanks to the article, we received our first order for a copy of the book!! Not only are we now published, but we have sold a copy! We are officially authors and illustrators! Oh, happy day! Congratulations Betty and to your students! What a great achievement! I know your success will continue to grow! Love the blog – would love to share it with our teachers at OLGC…Go Teddy go! Thanks, Luanne! 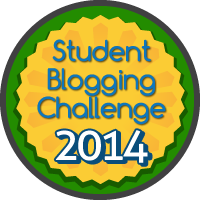 We would LOVE to have your teachers at OLGC join us on our blog! That is the goal…sharing ideas around the world while practicing our writing skills. I’m (almost) looking forward to the beginning of school! Congratulations!!!! That is awesome! Put us in for two orders of the book!! Thanks! Thanks so much, Paula! We have sold out of our first printing! I am working on getting a second batch done at a feasible price. I’ll send you two copies when I get them done. Thanks for your support!